EDIT: JWPlayer is another of these annoying autoplay video players. You block it the same way as Brightcove, detailed below. There’s a few websites I visit for news and other stuff that have embedded video on some pages. And the video starts playing regardless of how hard I try to stop it. Firefox is rolling out an autoplay blocker which is a good start, and Google is rolling something out mid April, but in the meantime there’s really nothing that truly works, and no guarantees they’ll work for long. Because in the world wide web we’ve created, WE are the product. Anyhoo, a right-click over an offending video revealed the source of my pain. Try it yourself, there may be other companies that do the same sort of thing, all annoying. The simplest way I’ve found to block this (and other nasties on websites; I’m looking at you, Facebook) is to install the Electronic Frontier Foundation’s Privacy Badger. 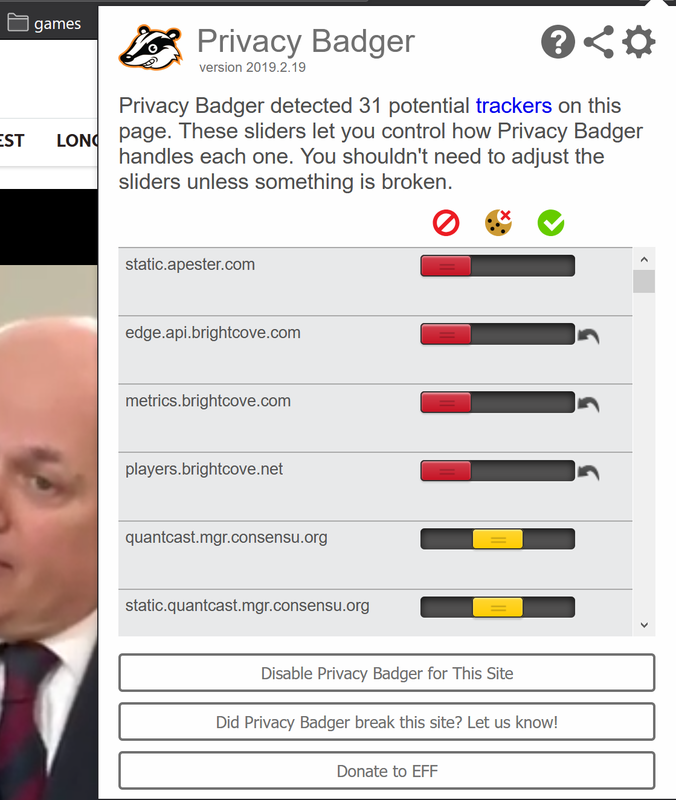 Privacy Badger will auto-block the more invasive trackers, and also works on Firefox on Android, which is really nice as it’s by a reputable organization. And to do the magic, I just remain on the autoplaying video website, open Privacy Badger from the toolbar and turn off anything called “Brightcove”. I also habitually turn off anything else that’s track-worthy. Facebook and Google for a start. Sometimes it breaks or partially breaks the site, but mainly it just means there’s one less company with my IP address and browsing habits. The site then needs a refresh, and Viola! Gone. And I get to read the article in peace without diving for the mute button. 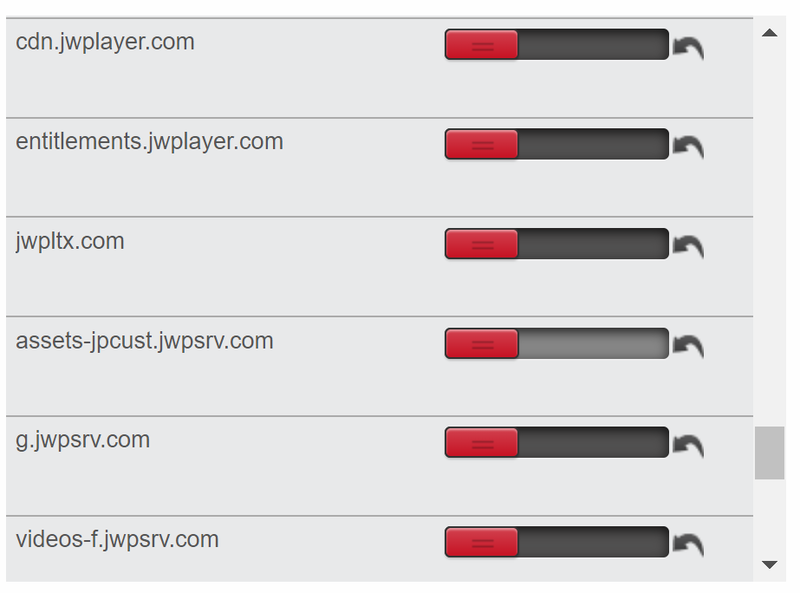 EDIT: And here’s some of the trackers for JWPlayer. Turn anything with “jw” in it off, whether or not PrivacyBadger thinks it’s tracking you.